SASI'S outstanding cycling program continues to find a new wave of up-and-coming young athletes featuring on the big stage. Sophie Edwards, Leigh Hoffman and Luke Wight all stood tall in the Australian team which competed at the UCI Junior Track World Championships in Aigle, Switzerland, between August 15 and 19. Edwards won a bronze in the women's individual pursuit, setting an Australian record of 2.22.444 which broke the previous record held for the past eight years by Amy Cure. 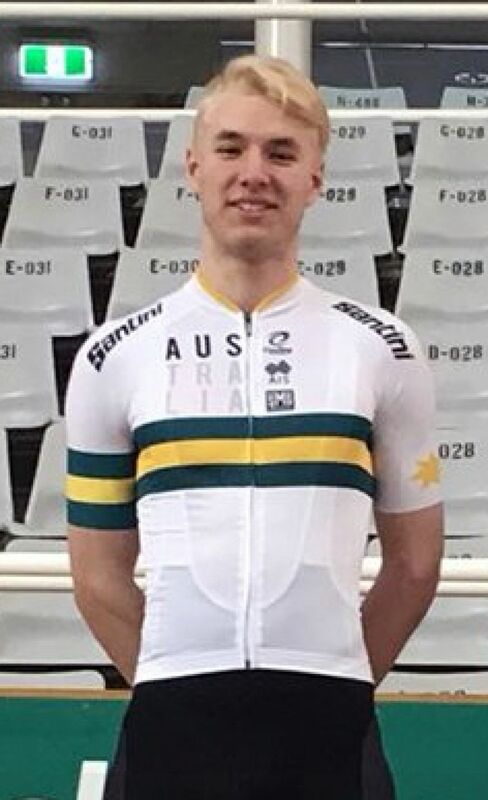 Hoffman continued his meteoric rise in the sport by finishing fourth in the men's sprint, which also was an Australian record (10.037) and sixth in the men's keirin. Wight played a key part in winning bronze in the men's team pursuit which edged out Italy in the race off for the bronze. Wight teamed with Luke Plapp (Vic), Blake Quick (Qld) and Matthew Rice (ACT) to snare a medal. Overall, Australia finished third on the medal table with three gold, two silver and four bronze medals. Germany was top with four gold and three bronze medals, while Italy was next with four gold medals. SASI Head Coach Cycling Brett Aitlken said the SASI athletes' effort were inspiring. "To have two Australian records was just great," Aitken said. "It was a pretty outstanding effort by Sophie with only about half a second between first and third. To see how far she has come and with Leigh's record and Luke who rode a PB it was really good to see a fresh group of athletes coming through with records too." Some of the SASI team will be involved in the Sam Miranda Tour of the King Valley in North East Victoria between August 31 and September 2. The next major event for many SASI athletes is the Oceania championships in Adelaide in October.